Regular Rate $1559 . Today Only $499! The Oasis Palm is an all-inclusive beachfront resort where ample spaces of relaxation and diversion will provide maximum enjoyment for a family vacation. Oasis Palm with its pyramidal structure provides splendid views of the Caribbean Sea or the Nichupte Lagoon. The resort features 471 rooms decorated in modern Mexican style with individual controlled air conditioning, private bath, one king size bed or two double beds, remote control, cable TV, direct dial telephone and a safe deposit box. We have stayed at this property more than a dozen times. The atmosphere was great and the staff were very friendly and always willing to help. A good choice of day time activities and night entertainment for kids and adults. Excellent location and easy to get to Cancun town and other excursions. Lovely and pleasant beach. Hotel is huge, big swimming pools. Had two lovely restaurants with buffet meals plus one a la Carte La Bamba restaurant and 3 snack bars. Food was excellent. We will definitely come back! Satisfy your appetite at one of the resort's restaurants, offering buffet, a la carte and snack bar options. Buffet offering Mexican specialties, available for breakfast and lunch. Offering buffet options and Mediterranean specialties, available for dinner. Offering pizza and other Italian specialties for lunch. Freshly-made sushi options, available for lunch. A la carte fish and seafood dishes, available for lunch and dinner. Offering Jalisco cuisine, available for dinner. Available from 11am to 6pm. We booked the Oasis Palm through BookVIP and it has been AWESOME! Welcome to the Oasis Palm in Cancun, Mexico. Want to have some fun, want to look at this beautiful sea with warm waters year round? BookVIP is the place to go. "Great Resort - Must Stay Longer!!!" One of the big advantages to Oasis Palm Resort is that it's located at the very North end of the Hotel Strip - right next to the bridge to Cancun proper. So you can easily walk over to town. There are several restaurants with different cuisines, and all the food was great. I recommend the pia colada drinks - with or without alcohol !! And the Mexican restaurant had delicious things I never encountered before. We would go to the breakfast buffet and bring enough food with us for sack lunches on Isla Mujeres. We spent most of our daytime on Isla Mujeres, which is like something out of a 1940s vintage John Wayne movie, where you can get away from all the corporate hype to experience Mom-and-Pop shopping and sight-seeing on golf carts. Isla is a wonderful ferry ride just across from Oasis Palm. Be sure to patronize Hortensia's custom tailoring stall on the Island - I got a custom-tailored magician's outfit for my shows with embroidery and bead-work for $60, ordered one day and picked up the next. Also great massages on North Beach from Eujenia and her family - very affordable !! Back at the Resort, I particularly loved the Marsh Grackles, which I had written about in my books but never actually seen. Alejandro the Porter was a magnificent helper and friend. We had a nice view of the pirate ship harbor from our window. The only drawback at the Resort was some fairly steep staircases, but hey - I needed the exercise. We had nothing but excellent service. Understanding concierge, friendly bartenders and waiters, and of course Alejandro .Cant wait to return!.. Each day we went down to the pool early and put towels on our lounge chairs and went to breakfast.Then we went to the room and changed and went down and layed by the pool. The weather was great and drinks were amazing. Food was great. The buffets were delicious with many options for any kind of diet. There is a Sushi retsurant for lunch that served delicious sushi for no added cost. One day we ate at Cocoa a seasood grill and the grouper was delicious, the best I have ever had. Drinks were very solid. It is all draft beer (Dos Equis) and lgoodliquor for most of it. They did have Bacardi, Jim Beam, and Cuervo as name brands all available. Rooms were clean and up to date. Hint....leave a dollar on each pillow each day for housekeeping, it makes a difference. Pool and activities. They have a beautiful pool and the activities are fun during the day. The disco was always a fun night cap for us as well. All in all we will be returning to this resort! "Excellent value for the money!" Our family of 11 spent a wonderful week at the Oasis Palm over Christmas. We were very pleased with the accommodations, service, and food - excellent value for the money. The few problems we had were quickly taken care of. We usually had to ask for enough towels and bottles of water for all of us, but housekeeping took care of it quickly. The people at the concierge desk were especially helpful - Teresa Juarez, Doris Rossler, and Juan Carlos Flores. Alfredo in the "coffee shop" was also very accommodating. The waiters and waitresses in all the restaurants were very attentive. Only problem was lack of beach towels on some afternoons. Get yours early!! Such a beautiful place and privileged beach! Great service also!! Nelly & Modesto from the main restaurant and Pedro Balau from the beach/pool bar just rock!! All the guys from the pool are also great! You guys made our staying much more fun and adorable!! Hope to see u soon!! "Great for week relaxing in the sun!" Stayed at the hotel in late may! Aside from another family we were the only Brits! This definatley didn't bother us, the other holiday makers were very friendly.. Canadians, Americans and a good amount of locals also at the hotel. We were upgraded on arrival to the nicer block, shame to have no balcony but gorgeous views of the pool and beach! Lots of room at the pools and beach which is great, still available at whatever time to go. never too busy except for evening meal so if you do book the cheaper side it would be worth it to do the upgrade to have access to the premium all inclusive side. For us it wasn't so important as we wanted to venture out some nights too! Entertainment is very basic so bead this in mind when your planning, great mariachi band and entertainers tried there best but in a funny venue with no atmosphere. Lots of choice on all inc with drinks, snack bars, sushi, taco bar... Staff are very helpful, pleasant! Breakfast was amazing!!! Only short bus ride into cancun and the opposite direction into downtown. Recommended for cheaper option to get away! I've stayed at the rui caribe in cancun and their good was superior but oasis beach took. The cake. There is about 200 meters of waste high crystal clear water right in front of the hotel. It's spectacular. The hotel was relatively inexpensive. We went on a whim from playa del Carmen for three nights. It's was awesome. Best beach !! We have stayed at this property more than a dozen times. We will definitely come back. 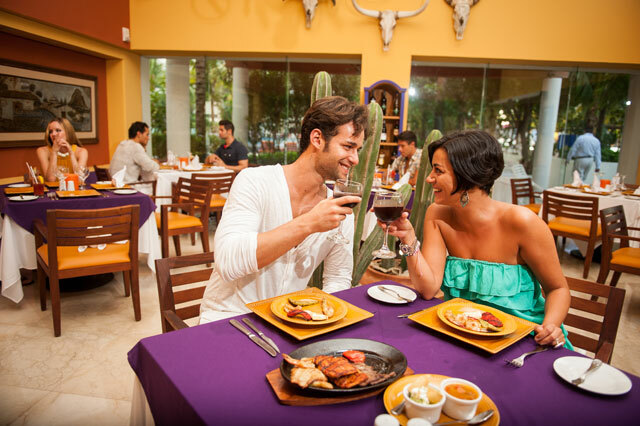 The location is excellent - right on the main bus routes to downtown Cancun, the mercados and the hotel zone. Close to everything (10 minutes to the Walmart!). The ferry to Isla Mujeres is just across the bridge next door. The staff are friendly, speak English and are very helpful. This is a great place for kids. The water is shallow and there is a fully-equipped kids club on the property. The rooms are very clean and most have great views of the ocean or the lagoon. There are a number of restaurants at this resort and the food is tasty and plentiful. Lots of bars, I particularly love the tequila bar, especially on a hot day, with its old Mexican furnishings, movies and barrels of peanuts. One of the staff, Juan, is a tequila expert and will definitely point you in the right direction there. This resort is very reasonably priced and is excellent value for the dollar. "Very nice family friendly hotel - highly recommended"
We stayed at the Oasis Palm for 7 nights on an all inclusive and had a wonderful time.. The atmosphere was great and the staff were very friendly and always willing to help. A good choice of day time activities and night entertainment. Good location and easy to get to Cancun town and other excursion.Lovely and pleasant beach. Hotel is huge,big swimming pools. Had two lovely restaurants with buffet meals plus one a la Carte La Bamba restaurant and 3 snack bars. Food was excellent. The best animation team - Carlos, Allan, Armando, Felipe, Edyth and Alex. Elvis and Luis (waiters) were very helpful. Definitely go back next year. My husband and I went here to celebrate our 10 year anniversary. This was a family resort, but we did not mind that, and still had a great time. We had a great view of the ocean and beach from our room on the 5th floor. The room was spacious as well. All of the staff was very helpful and they are fluent in the english language, which I found helpful. The breakfast buffets were excellent, but I found that the dinner buffet could have been a little better. The BBQ pit right of the beach is great for a quick bite while you are tanning. The drink service on the beach was great as well, and the waiter was excellent. One of the restaurants was by resevation only, and you have to go to the concierge desk at 7am the same day to make the reservation. We missed out on that restaurant, because we did not want to waste time getting on the line once again. Jimmy in the lobby was a great help as well. "Most Fun I've Had !" I have been on a couple all inclusive vacations, and this hotel and location was by far the best. The food was delicious (especially the sushi). The lagoon was beautiful and calm compared to the crashing ocean, which was easily accessible by bus. The room was beautiful and spacious with a balcony included. A plus to this hotel is that you can access the 2 sister Oasis hotels to eat and beach for free as well! Very nice! The Oasis Cancun location (sister hotel) is on the ocean and a lot bigger with more buffets and more people to meet! Perfect time! "Oasis Palm - Very Nice Hotel"
I really loved all days that I stay there. Oasis' employees are so kind with all guest and they treat you that I feel that I was at home. All rooms are clean and organized. I really liked to stay at this hotel and certainly I would suggest to anybody to stay there in Cancun. excellent hotel. very clean, staff were very polite and ready to fulfil our every wish. room cleaned daily and wet bar always stocked with our favorite beverages. bars were fully stocked with whatever we wanted to drink and the restaurants were second to none.we plan on going to the same hotel again next year because we loved every minute of our vacation this year. "OASIS PALM -GREAT FAMILY AND COUPLE HOTEL"
I read too many bad reviews before we went here but Im here to say don't listen to them, they must be expecting 5star chefs cooking for them and want silk bed sheets or they are just plain spoiled or on crack. This resort had two all-inclusive restaurants to choose from both with excellent food selections and each day for each restaurant had a different selection. There were also 2 other restaurants that you had to book and pay for but honestly we didnt go to either one, the all-inclusive restaurants were fine. The room was clean, cool and comfortable, it had two nice beds, shower, toilet, TV what else does one need to sleep in the rest of the time we were at the beach, we tipped the maid $10 pesos each day and our room was well taken care of, need I say more, $1 USD a day goes a long way! Who cannot afford a $1 day tip? The rest of the time we were not in the room. I read the drinks were watered down really! I guess they didnt notice all the ice that got blended into the drink so duh yes they are watered down so just ask the bar tender for mucho alcohol and youll get pissed easily and fast if thats your objective. Beer is beer, at least its not as crappy as American beers. Staff was super friendly and helpful, guess when you ask nice they bend over backwards for you but if you are going to be ignorant to them then thats what you get back. The staff is constantly cleaning there, grounds is super clean all the time or they try to keep it clan but heres a thought, maybe the guests shouldnt be such pigs and throw their trash in the trash cans instead of leaving it all over the place then maybe there would not be so many bad comments about cleanliness, enough said on that. Over all, the place is stellar place and we would definitely go back and recommend it to others to visit. The only CON, front desk doesnt cash travellers checks not do they take large bills and break them down to smaller bills so that we could tip more often as a result we couldnt tip as much as we would liked to have but we did our best to. In fact we could not find anyplace in Cancun to cash travellers checks without a heavy $15USD back end fee to cash a check, yup, per check! And the ATMs come with a $15USD fee to get to your cash so bring USD cash only and forget checks and ATMs, use ATM if you run out of cash and bite the bullet. Travellers checks are out like the days of home delivery of milk, remember the milkman days? Forget typing your preferences in selloffvacations.com website when booking, its a waste of time and no one reads it! I think I said enough. Give yourself a treat and come here, you wont regret it. "An amazing experience at a hotel people say is aweful!!" Many people whom stayed t this hotel are saying that this hotel is aweful and wrote so many bad reviews on this place! I completely disagree!! On the other hand, I had a blast! The entertaiment staff were very hands on; walking around the pool area and the beach to see if there were people interested in doing the daily activities, playing good music, and most importantly.. being very respectful to ther guests. That's not all, they were great with everyone. Taking charge of the kids interested in their amazingly thought out activities such as soccer/futbol, volleyball, treasure hunt, question of the day, ping pong cometition ect., it also gave the parents time to relax and enjoy their vacation as well without having their children behind their back all the time asking to go to the pool or going somewhere else other than the beach. Besides the entertainment staff, the crew in general was very respectful! At the buffet, you got treated with kindness and were surved not even 2 minutes after your arrival. 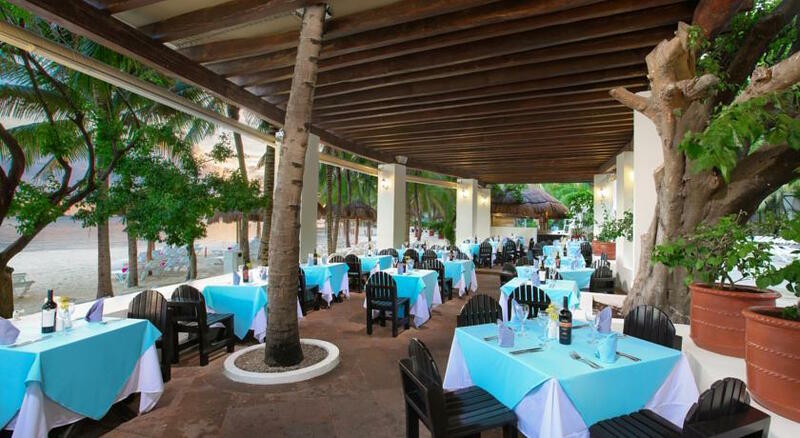 The food at the buffet was very good, but you dont want to miss out on the other amazing restaurants they have at this resort such at the Mexican restaurant, the "steakhouse", and other amazing places to enjoy a meal. They also have a sushi-bar open at lunch for the fish lovers. Plus, at night there is always something going on, for everyone there are some extraordinary shows at 9:30 in the Grand Salon almost every night and for people over 18, the discoteck is open every night. The hotel is very well thought out! For children under 12 years old, there is a kids club that has many fun activities just like the ones organised by the entertainemt staff near the main pool, but a little more toned down, for little children. At the kids club, there are slides, a ping pong table, a pool and much more! The activities are great and keep your younger children entertained. The most important thing though is the place you stay in for maybe 1 week maybe 2 weeks, as long as you are there: the rooms. The rooms are very clean and always tidy. Room service is available and they clean up a mess as soon as they see it. It takes a lot of courage to be part of the cleaning staff and at this hotel, they are not lazy! The beds are always made properly, you always get clean towels, your counter in the bathroom is always clean and never has water leaking from it, I have no bad comments. My stay at this hotel was one of the best ones yet! I hope to have many more experiences great like this one and thankyou to everyone who made this enjoyable vacation possible. A shout-out to the crew, the entertainment staff, the kids club members etc. thankyou for making this a great vacaction. "Cancn, The Best Beach in the world"
Cancn , it is the best beach in the world, because its have Caribe Ocean, and the localizitoion its very good, touring points is near of the Hotel. My family shopping very artifact, very tennis. We payment 15 mil reais, its Touguer, with disbursement, and touring, and fun. The 4 restaurant ist very good, the food very good, and the car of Hamburger, and IceCream its excelent. The Caribe Ocean, its Beuatiful, calm, and the 3 swimming pool, its the best thing the world, calm, I wish sleeping here. I like very very much, its the best holiday in my live. "Nice place despite the reviews!" I was so hesitant to visit this hotel prior to reading all of the reviews online. However, I was delighted to the fact that it was very nice for the price. We arrived and were placed on the fifth floor, which was nice because we got both views of the bay and the ocean and were able to avoid any noise that the diso made. Very friendly staff and overall very nice. I noticed a lot of people not tipping the staff so maybe that attributed to us getting better service because we tipped quite often. We had one small problem with our toliet but we called and within a few minutes they were up fixing it. We always had clean towels and our beds made. Overall, can't really complain for price! "Great Location and Close to everything"
We stayed in a one bedroom unit. Plenty of room. Resort was clean and very pretty. Pools were beautiful and clean. Not many children. Food was above average. Beach was nice. Location was great, step outside and walk to road, catch bus to go anywhere for very little money. Rooms were clean and furniture and bedding in nice condition. Service was amazing and loved the hot tub and restuarant at the beach. Toes in the sand while eating shrimp cocktail was great ! Alittle expensive, I recommend the all inclusive option if you are going to drink much. Easy to go out and eat at other restuarants using the bus. Golf nearby. Amazing view from anywhere on the property. Regular Rate $ 1559 . Today Only $499!